PMNRCD in Rutland County comprises a significant percentage of the South Lake B portion of the Lake Champlain watershed. agriculture, forestry, and stormwater improvement projects. We also participate in research and monitoring efforts in our watersheds, and conduct outreach and education over a broad spectrum of conservation issues. Created in 1940, the Poultney Mettowee Natural Resource Conservation District (PMNRCD), and was the first of fourteen Conservation Districts located in Vermont. The Conservation Districts were created by the Federal Government in response to the soil loss catastrophes of the dust bowl era. PMNRCD is a political subdivision of the State of Vermont, and is governed by a supervisory board made up of volunteers that live, and are elected by residents, in the District. 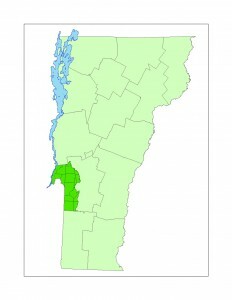 The District belongs to an umbrella group the Vermont Association of Conservation Districts that helps to provide support and unify the services provided by Conservation Districts across the state. The mission of the Poultney Mettowee Natural Resources Conservation District (PMNRCD) is to provide educational outreach, technical assistance, and financial support to communities and landowners to protect healthy soil and clean water and preserve the ecological integrity and economic vitality of communities. The District brings together the efforts of citizens and organizations that share the common goals of conserving, protecting, and enhancing the natural and cultural resources of the watershed. PMNRCD is located in Rutland County, within the watersheds of the Poultney and Mettowee Rivers. 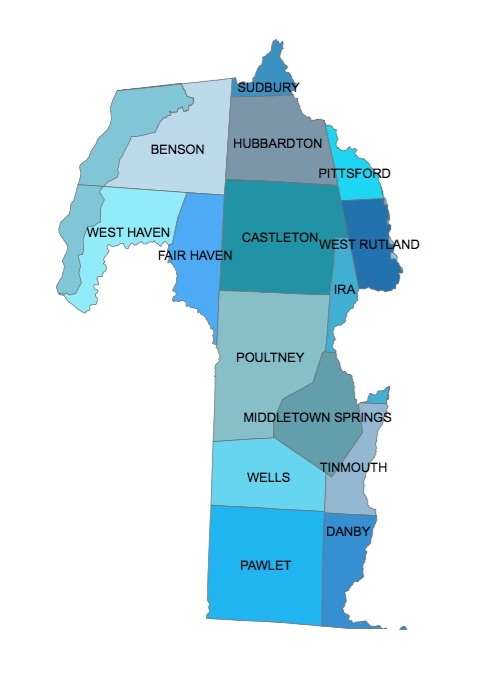 In their entirety, the Poultney and Mettowee Watersheds encompass 309,000 acres and 17 Vermont and New York towns and make up the majority of the South Lake watershed. 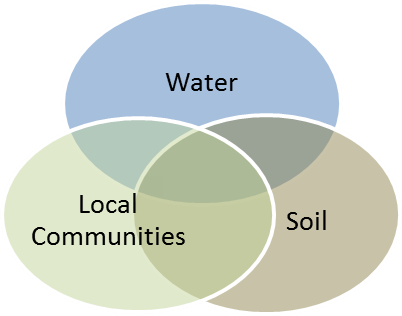 PMNRCD works closely with our New York counterpart, the Washington County Soil and Water Conservation District on bi-state water quality issues. Since recent modeling efforts predict that the receiving waters in the South Lake will not meet phosphorus standards under current land management proposals, the District has focused its efforts on implementing phosphorus-mitigating and/or attenuating projects and is using water quality data to drive project selection. Poultney Mettowee Natural Resources Conservation District (PMNRCD) was awarded a grant as part of Vermont’s Ecosystem Restoration Program to identify sources of stormwater runoff and propose high priority stormwater mitigation projects. PMNRCD worked with the Rutland Regional Planning Commission (RRPC), and the Town of Castleton and the Town of West Rutland to conduct Stormwater Master Planning within the Castleton River headwaters. Additional outreach was provided to the towns of Ira and Pittsford. “Everyone we worked with on this project was supportive and positive. We look forward to implementing the projects identified through this grant with the help of Fitzgerald Environmental Associates’ technical support”, said Hilary Solomon, District Manager, PMNRCD. The efforts made possible by this grant protect the State’s water quality and support PMNRCD’s goal to develop programs for landowners and towns within the District that encourage the conservation of healthy soil and clean water. The District, with FEA, identifed 74 potential projects and are working with towns and Castleton University to begin implementing the highest-ranked projects that will improve water quality and the management of stormwater runoff in the Castleton River Watershed. The Castleton River drains to the Poultney River, which is one of the major tributaries to the South Lake of Lake Champlain. South Lake has been identified as a ‘Gap’ watershed, one that will not meet water quality standards under any of the proposed land management or best practices scenarios in the State’s proposed Total Maximum Daily Load (TMDL) Implementation Plan (November, 2014). 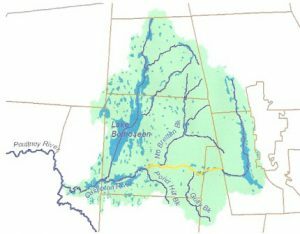 The Castleton Headwaters Watershed has many project opportunities including abandoned dams, potential agricultural projects, culvert replacement projects, riparian buffer projects, steep roads / sediment reduction projects, and several others. By working with towns, we hope to implement at least five, high-priority, locally-approved, state-sanctioned projects within the next two years.